EDIT - 10/31 - Kickstarter!!! EDIT - 8/23 - Game completed! The game now features an actual soundtrack, a few more features and 128 puzzles to challenge your brain!!! The game will be released on www.second-dimension.com... - I will update this thread once more when you will be able to buy the game off dr600n's site. So I've been on a vacay these last few days, and I like doing little chill NES projects during that time. This time, I've been doing a puzzle game that I really like: Picross! Let me know about any comments, issues and all that stuff! Demo ROM included in this post. Awesome! 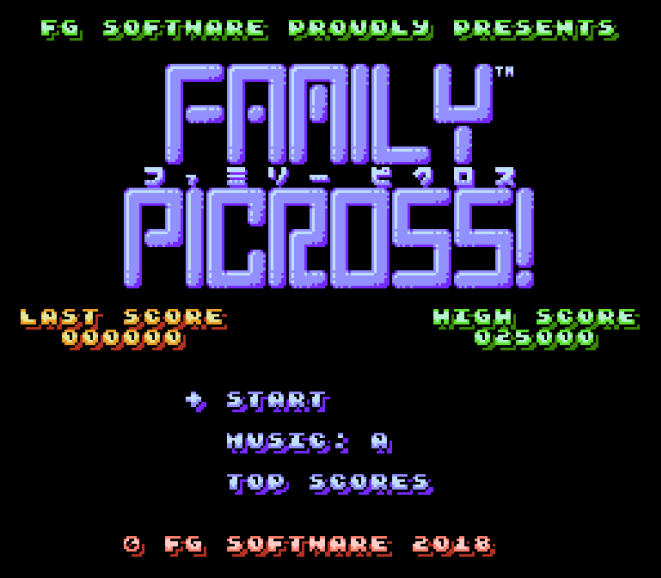 I'm excited to check this out as I love Picross. Thanks and keep up the great work! Hello! I want your "ATLUS" stuff! Please see my list or send me a PM if you have cool ATLUS stuff! So I feel stupid but I didn't know what picross was until I checked out your demo. Pretty rad. Thanks! I love Picross;looking forward to playing this on a physical cart! Amazing, thanks for the demo. Backed, congrats on the launch! Good luck! Definitely planning to support this, and great to see Second Dimension publishing full NES releases at such a reasonable price. Let's see this get funded! Gloves is playing it on his Extra Life stream now!